Cossette is plotting a merger between Dare and MCBD, and is considering renaming the combined agency as Dare. A union is understood to be the preferred option as the group looks to integrate its UK agency businesses, which also include the DM agency Elvis, the branding agency Identica and the PR company Band & Brown. Under the planned structure, all of the Cossette-owned communications businesses are expected to move into shared offices by the end of this year. 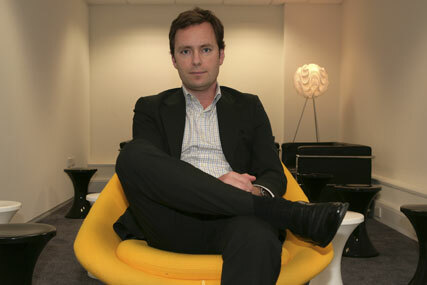 The move is being co-ordinated by Gregor Angus, the chief operating officer of Cossette UK. A merger has not yet been signed off and various account conflicts remain to be ironed out, notably between MCBD’s Waitrose advertising business and Dare’s recently-won Sainsbury’s digital account. Angus said: "It’s one of a few bold things that we’re considering. We have a new ambition and a new energy after our privatisation and this scenario is incredibly exciting." It is not yet clear what roles the agencies’ senior management teams would take under a united regime. Dare is led by the founder Mark Collier, the managing partners John Owen and Lee Wright, and the creative partner, Flo Heiss. MCBD is run by Helen Calcraft, the founder and chief executive, alongside David Bainbridge, the vice-chairman, Danny Brooke-Taylor, the executive creative director, and Andy Nairn, the executive planning director. In November, Cossette – Canada’s largest ad agency – agreed to sell to the private equity group Mill Road Capital, for about C$97.6 million. It continues to be run by the chairman and chief executive, Claude Lessard.